Xienna Cafe will compete in Poetry Out Loud’s Regional Semi-Finals in Columbus. 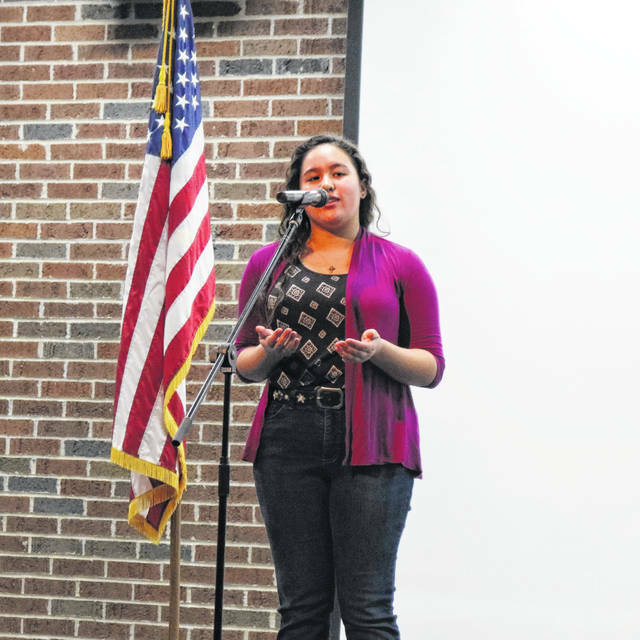 Xienna Cafe, a Welding and Fabrication student from Riverside High School, won the 2019 Poetry Out Loud local competition in January after studying, memorizing and reciting a poem of choice. Café selected “Light Shining out of Darkness” by William Cowper. After competing against 21 other students at the local level, Cafe will compete at the Regional Semi-Finals in Columbus in February. Poetry Out Loud encourages students to learn about great poetry through memorization and recitation. This program helps students master public speaking skills, build self-confidence, and learn about literary history and contemporary life.